Halal: All that You Need To Know is a collection of articles covering a diverse range Halal lifestyle from food to cosmetics, tourism to logistics and finance to pharmaceutics. Halal is defined as permissible by the Islamic law. It exists in many aspects of life and comes with its counterpart toyyebah (pure and clean). It is a standard that all Muslims must adhere to achieve not only the worldly benefits but also the spiritual gain towards being closer to the Creator. Nevertheless, its wholesomeness is applicable and increasingly accepted across communities and cultures. The Halal industry itself is a huge and exciting market which involves many stakeholders form policy makers, raw material suppliers, manufacturers, retail and consumers. Each is responsible in ensuring the successful Halal pipeline. Contributors are authors affiliated with the International Institute for Halal Research and Training (INHART), IIUM who are actively involved in research, development and innovation as well as implementation of Halal in the related field. This book; Halal: All That You Need To Know, although presented as leisure reading is full of information on the many facets of Halal. 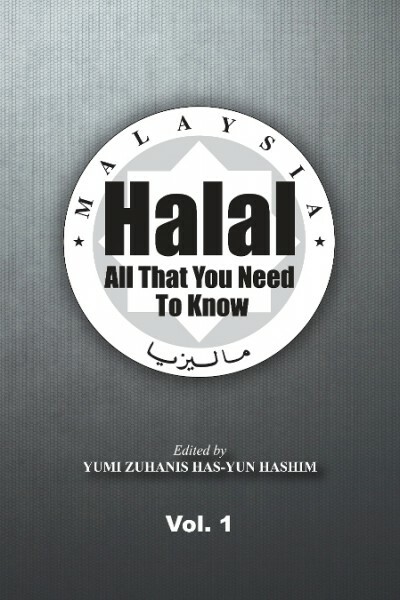 It will be valuable reading to all Halal stakeholders including the consumers. Together, the understanding and cooperation between the Halal stakeholders across fields may help in promoting Halal as the ultimate standard for the benefit of mankind. Let us embrace and live the Halal lifestyle!